Get your CBH certificate, get professional membership plus 25% discount* off your 1st order. Enjoy a special CBH discounted rate with Balens Professional Insurance. 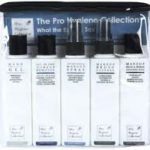 20% discount with Diva Professional Beauty: the preferred supplier hygiene consumables to the beauty industry. Get professional discounts on one of the best kept makeup secrets. Students need to supply a letter confirming the dates of their Create Beautiful Hair course, either online or face to face; or their Habia endorsed Create Beautiful Hair Certificate once their course is completed.